iTunes offers a ton of free podcasts in its educational section geared towards making you a little smarter. Or at least sound that way. The best part: most of them are short, weekly series so you can cram in some good water cooler ideas or conference coffee break chat material when you have time. Here are some of our favorites – educate us with your picks in the comments. These quirky podcasts run about half an hour each, and explain often topical questions like how rehab works or how to go about house swapping. One of the informative podcasts from the folks at How Stuff Works, this is probably our favorite, though Stuff from the B-Side and Stuff Mom Never Told You are also excellent. Australia's State of Victoria is experimenting with an iPad pilot project; likely the first of many. Photo courtesy of Department of Education and Early Childhood Development. It’s Education Week on CultofMac.com. How’s Apple doing in schools these days? 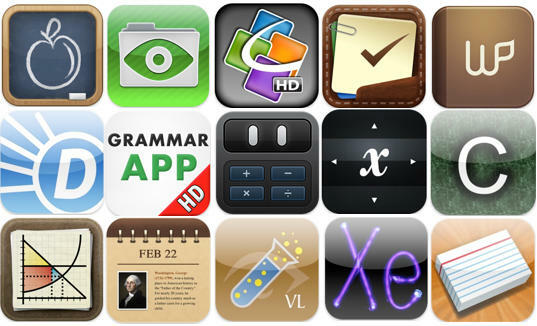 What are the best education apps? 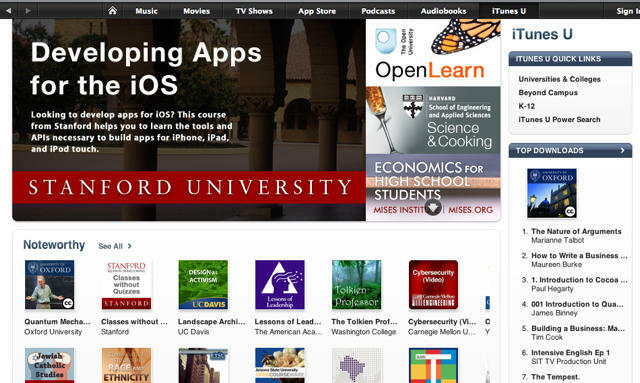 Is iTunes U worthwhile? Join us as we learn more about Apple in Education. 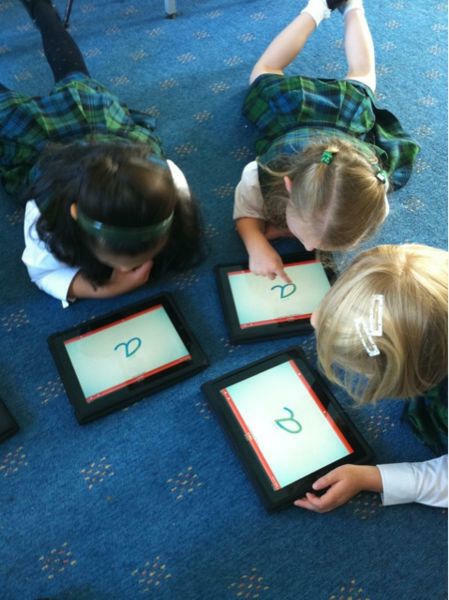 The iPad is going to be very big in schools, predicts Professor Mark Warschauer, one of the world’s leading experts in technology and learning. In an exclusive interview, Prof. Warschauer predicted that schools may soon start buying iPads in big numbers to replace not just desktops and laptops, but also textbooks and other reading materials. We are a culture on the go. We work, eat, play and study on the move, multitasking all the way. It doesn’t take an advanced degree to understand the appeal of Apple’s new mobile devices, particularly iPads and MacBooks, on college and grad school campuses everywhere. 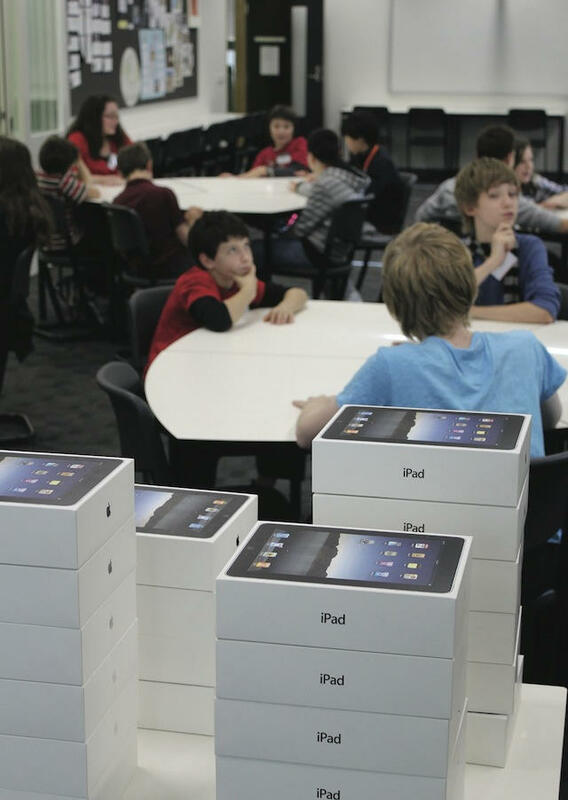 Many schools are getting in on the act directly, and facilitating mobile computing by providing iPads and MacBooks to their incoming students. With thousands of courses and resources available for free on iTunes U from some of the top universities around the world, we argued, only semi-facetiously, that it’s better than brick-and-mortar college. Have you ever downloaded an iTunes U course? Let us know why or why not — and what you got out of that lecture on Drinking Games in Ancient Greece — in the comments. Apple had traditionally enjoyed 50 percent of the educational market, however a tight economy coupled with lower PC prices led by netbooks until recently depressed the Cupertino, Calif. company’s classroom reach to just about 20 percent. 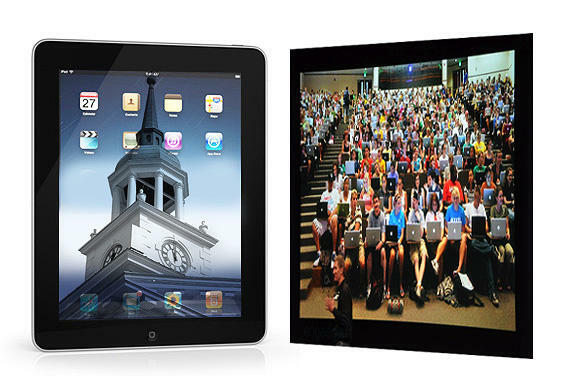 While the iPad is credited with many advances, it also sparked a comeback for Apple, making the $500 tablet competitive with PCs in the secondary and higher education markets, according to Needham & Company’s Charlie Wolf earlier this year. Wolf’s prediction, made before the iPad really hit the street, has been confirmed again and again. Cedars School in Greenock, Scotland, has become the first school in the world to deploy an iPad to every child in the age groups it serves (roughly 5 to 16 year-olds). We’ve mentioned this effort before, so Cult of Mac decided to check in on the project again for our Education special and see how they’re doing. “The iPad has become far more embedded in our school day than I ever thought it would become,” Fraser Speirs, the architect behind the project, wrote on his blog. As part of Cult of Mac’s ‘Apple in Education’ week, we’ve trawled through the hundreds of thousands of app in the App Store and compiled a list of the best applications for your iPad, iPhone, and iPod Touch, that we think will help you make the most of your device while studying. The applications we’ve featured will help you to study for your exams, remind you of when your assignments are due, and make it easy for you to create and manage your notes in class. We also have 4 sections dedicated to different subjects, and a few applications designed to help you in these areas, including English, Math, History, and Science. 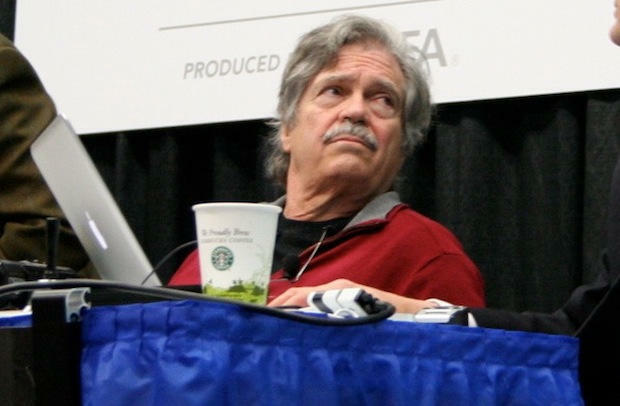 Computer scientist Alan Kay is one of the most foremost experts in computers in schools, and yet he believes technology in education has largely failed. Kay is a pioneering computer scientist, a former Apple fellow, and famous for formulating the Dynabook concept that predicted laptops and tablets 40 years before they became commonplace. Kay was a researcher at Xerox PARC in the seventies on technologies that Apple later commercialized in the Lisa and Mac. Among many honors, Kay has won the prestigious Turing Award for work on object-oriented programming. During the mid-1980s he was an Apple Fellow at Apple’s Advanced Technology Group. Computers have been in schools for the last 30 years, but with few exceptions, they haven’t been used to their full potential. Kay says the education system has squandered 30 years of technology in classrooms. He likens the modern factory educatory system to a monkey with a microscope. The monkey looks at its reflection in the microscope’s barrel but doesn’t look through the eyepiece — it utterly misses the point. 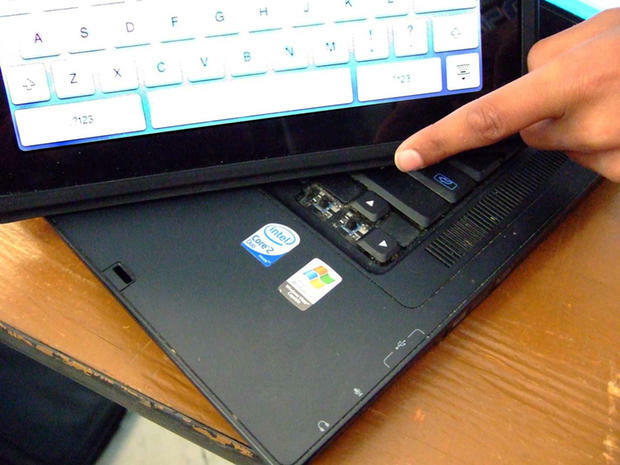 Computers have become tools of distraction, Kay said, instead of education. He singles out Guitar Hero as the best example of this — players get the fantasy of virtuoso guitar playing without learning a single note. “When I look at computers in schools, this is what I see. It’s all Guitar Hero,” he said during a keynote speech at CES earlier this year. We asked Kay to expand on these ideas in this exclusive Q&A. Kay talks about the importance of using technology to create educated voters capable of participating in a democracy, and Apple’s general disinterest in education. 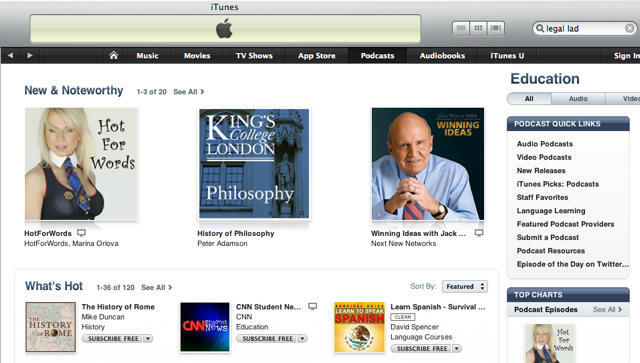 Launched in 2007, Apple’s iTunes U is a powerhouse of knowledge. Currently more than 800 international universities maintain active sites and the digital library houses some 350,000 free lectures, videos, films and other resources available for download on the iTunes store. When Newton North High School in Newton, MA was rebuilt recently as a new, state of the art facility, a primary goal was to teach students information literacy using current technology. With a generous budget and the opportunity to start fresh, the result is a school with five Mac-based computing labs, over 130 new iMacs, and a library that rivals one found at many colleges.